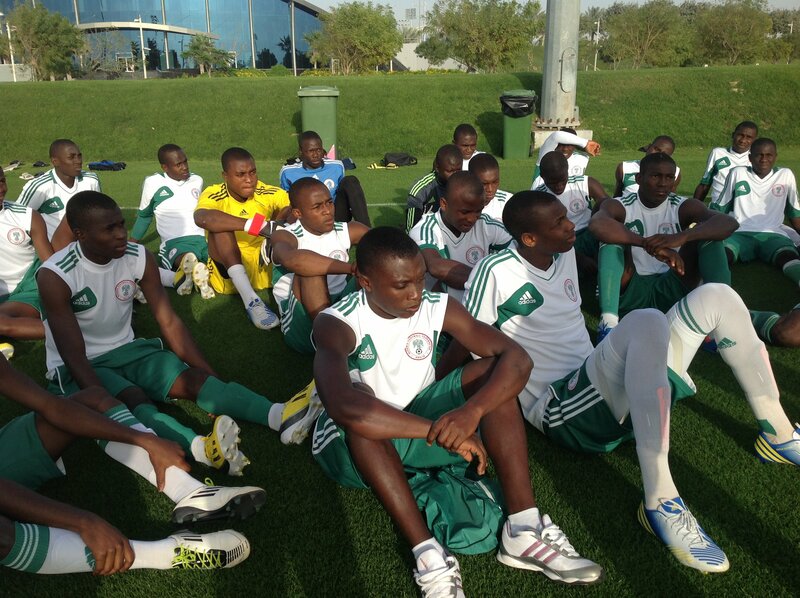 Eaglets in consolidation mission against Angola. After a thrilling opener against hosts Tanzania on Sunday, the Eaglets will file out today against their Angolan counterparts at the 60,000 capacity Benjamin Mkapa Stadium in Dar Es Salaam in what could be described as a consolidation mission. The Garba Manu tutored side fired five goals past their Tanzanian opponents in the opening match but it was not an easy feat as the hosts were equally in goal scoring mood getting four goals past the Eaglets. Indications that it would be goals harvest day, emerged when Alfred Olaniyan opened scoring of the Eaglets in the 21st minute, but Tanzania immediately responded a minute later thanks to Edmund Godfrey, the match eventually ended 5-4 in favour of Nigeria. Should Eaglets defeat Angola who only managed a lone goal victory over Uganda on Sunday, they would automatically pick one of the tickets to FIFA under 17 World cup in Brazil even with an inconsequential last group match against Uganda on Saturday at the Chamazi Stadium. The Eaglets are eyeing a third Africa Under 17 Nations cup trophy on one hand and a ticket to their 9th FIFA under 17 world cup appearance. Nigeria has won the world cup in this category five times viz 1985, 1993, 2007, 2013 and 2015. She has also ended up as runners up three times viz 1987, 2001 and 2009. Although soccer fans who watch the Tanzania versus Nigeria match on Sunday gave the boys a pat on the back for emerging victorious, some however say the team needs to be more clinical to avoid losing grip especially when faced with a more compact side.